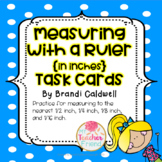 10 Printable Measuring With A Ruler Worksheets. Kindergarten-1st Grade Math. This Smartboard lesson describes the zero mark on a ruler and allows the students to estimate and measure items. This is an introductory lesson. 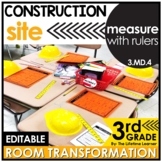 Have students practice reading lengths on a ruler/tape measure. 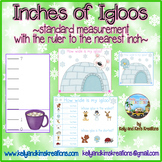 They locate given lengths and mark given lengths on a picture of a ruler. Great practice for such an important skill in sewing, woodworking, and many other real-world applications. Measuring to the nearest 32nd of an inch. 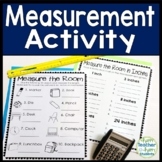 Kids can practice comparing measurable attributes by determining which of two objects is longer/shorter than the other. 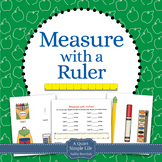 Additionally, students can practice measuring with a ruler. This worksheet has 4 sets of pictures students can work with. 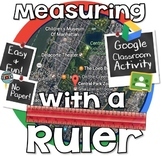 Learn how to measure lines with a ruler. 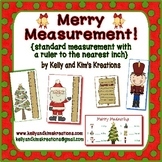 A good way to introduce measurement for first grade. 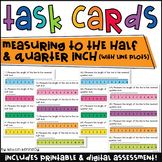 This worksheet can be used in a whole group, as an assessment or for homework. 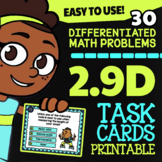 Math practice for independent or small group instruction. 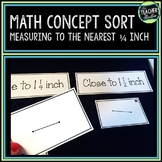 You could put this in a plastic sleeve if you are using this for a small group activity. Students will measure each object to the nearest inch and record the number on the line.